Building a community is the Usher Syndrome Coalition's driving force. By fostering lasting partnerships with the growing number of Usher syndrome-focused organizations around the world, the Coalition facilitates collaborative efforts, minimizes duplication and creates a global network of support.  USH Partners support the community building efforts of the Usher Syndrome Coalition, ensuring our collective ability to find and support everyone living with Usher syndrome. The work we do is made possible through collaboration with these incredible organizations. Click here to learn more about becoming an USH Partner. The Usher Syndrome Society is a non-profit that raises awareness and funds research for Usher syndrome (USH) to ultimately find a cure. 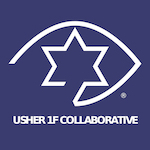 The Usher Syndrome Society and the Usher Syndrome Coalition are collaborating to bring awareness to the most common genetic cause of combined deafness and blindness: Usher syndrome. Their 'Shine a Light on Usher Syndrome' campaign aims to give a face and voice to Usher syndrome through photojournalism and Art. The goal: to build empathy and awareness about this disease, in the hopes of finding new treatments and, ultimately, a cure. The mission of Ava’s Voice is to empower youth with Usher syndrome and to educate families, and school communities. Usher 1F Collaborative grew out of the lack of research specific to Usher Syndrome type 1F. While one family founded this nonprofit foundation in 2013, they have grown into a group of affected families working together for a cure across the globe. 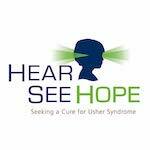 Hear See Hope is a 501c3 nonprofit and a founding partner of the Usher Syndrome Coalition. Their mission is to support Usher syndrome research and awareness efforts. "Through excellent focus, we can create, communicate and gain knowledge of this currently incurable retinal disorder. Our funds will be directly focused to Usher syndrome research and awareness and by doing so we can target the needs of researchers and the broader Usher syndrome community." We invite your organization to join the Usher Syndrome Coalition in a coordinated movement to create a global Usher community. By collaborating and building bridges between the growing number of organizations across the globe, we, as individual entities and as a consortium, can best serve the USH community. Click here to learn more.